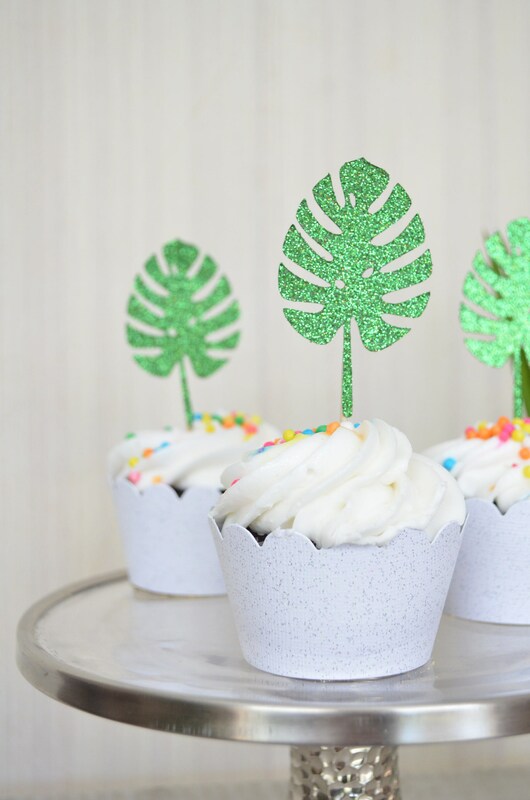 Monstera Tropical Leaf Cupcake or Donut Toppers - Choose from quantities of 12, 24, 30, 36, 40, 50, 75, 100. 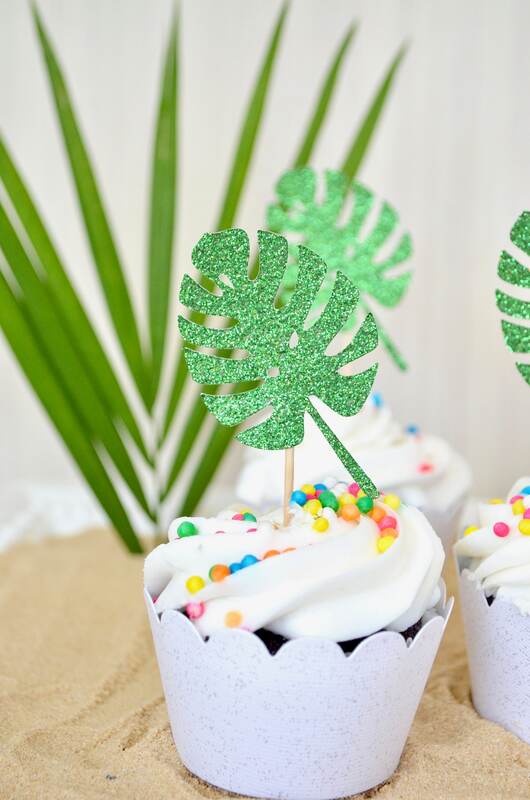 Accent your cupcakes or donuts with these green glitter Monstera toppers and have your guests dreaming of sandy beaches and tropical breezes. Each Monstera leaf is about 1.75 wide at the widest point and 4" tall (including the toothpick). They are double sided, so they look great from either side! Please notice that you have the option of Monstera leaves that are straight up and down, and leaves that are slightly sideways. Use the drop down menu to select the option that works best for you. If you have questions or need another option, please contact us. All of our products are constructed in our pet free, smoke free, peanut free studio.